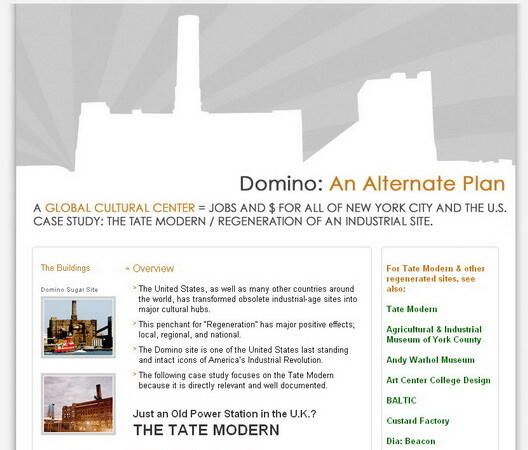 Using conservative figures based on the Tate Modern Case Study, the Domino site, with a modest admission price, would bring in between $60mm—$80mm in revenue per annum. (3) These figures do not include revenue generated through businesses outside the Domino site. We're not sure how this would come to pass--and it's been suggested that it's a "pipe dream"--but the physical similarities between the buildings are certainly striking.